If you have yet to discover the joys of essential oils I highly recommend you get to it. These are so wonderful! I have developed a passion for essential oils and love finding new ways to use them. I’ve been mixing my own room sprays for a while now so I thought that I would share my favorite recipes with you. 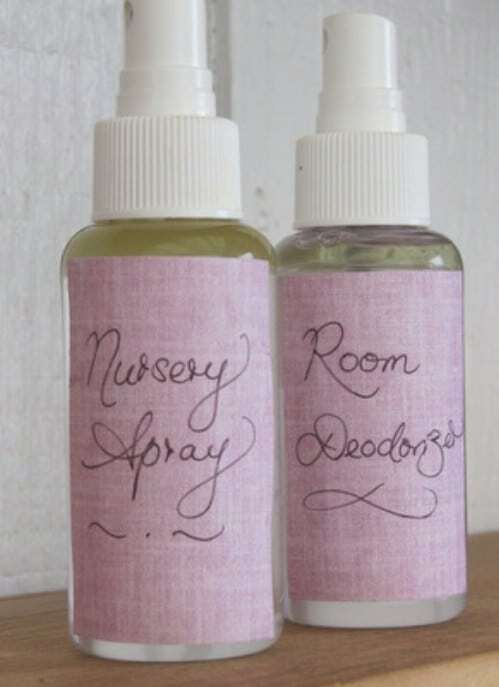 Not only are there recipes in here for room sprays, there are recipes for just about anything you could imagine from lice repellant and bug sprays to hairspray and even a great makeup setting spray. Who knew that you could make so many different things from essential oils? One of the reasons I love making my own sprays is because I took some time recently to look at the label for a store bought room spray. I couldn’t pronounce half of the words! That really scared me because of my family. I want to always use products that are safe for them and for my little pets, so I turned to DIY. Whether you like the scent of a particular oil or you want something for a particular purpose, essential oils are wonderful. In fact, I put them right up there with coconut oil and I’ve even got a list of 25 coconut oil recipes that can totally replace your health and beauty products. Now, back to the essential oils. 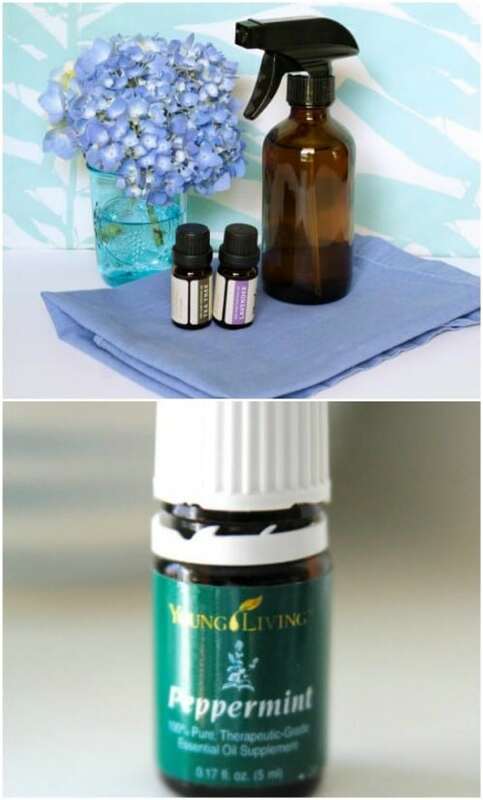 Whether you want something that will help you to sleep at night (yes, there’s a recipe for that) or you just want something to ward off those horrid bathroom smells, you’re going to love these easy to DIY essential oil sprays. Essential oils are not at all expensive and you only use a few drops so you can make these over and over again and save money with each batch. You know how much I love to save money. Just look at these spooky Dollar Store Halloween crafts. They’ll save you a bundle! This DIY sleep spray is the perfect way to make sure you’re falling asleep quickly at night. The scent is so relaxing and calming and it’s perfect for spraying in kids’ rooms to help them sleep, too. You make the spray with lavender essential oils, which are super relaxing, as well as vetiver, cedarwood and a bit of water. The entire spray will cost you less than $3 and it works really well to create a relaxing atmosphere. This summer has been horrible for bugs. Mosquitos, ticks and just about any other creepy crawly have been nuisances this season. 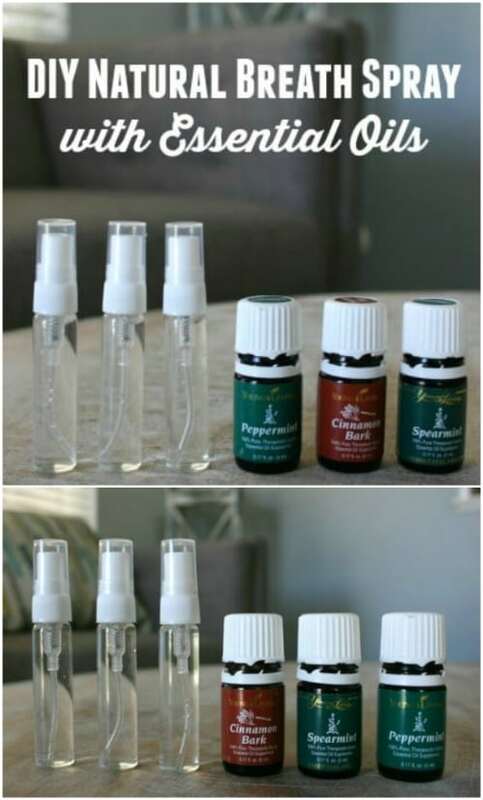 Instead of buying those expensive…and chemical filled…store brand sprays, make one yourself using essential oils. It’s much safer for you and your family and it has a wonderful scent. You use citronella, lavender, peppermint, tea tree and various other oils to make it and it’s really effective on all sorts of bugs. This room spray is calming and really freshens the air, no matter where you use it. It’s great for bathrooms or any room that has pets and it’s much cheaper than those store bought deodorizing sprays. Plus, you can create your own scent. Just add a few drops of any essential oil you want into a spray bottle with a bit of water. 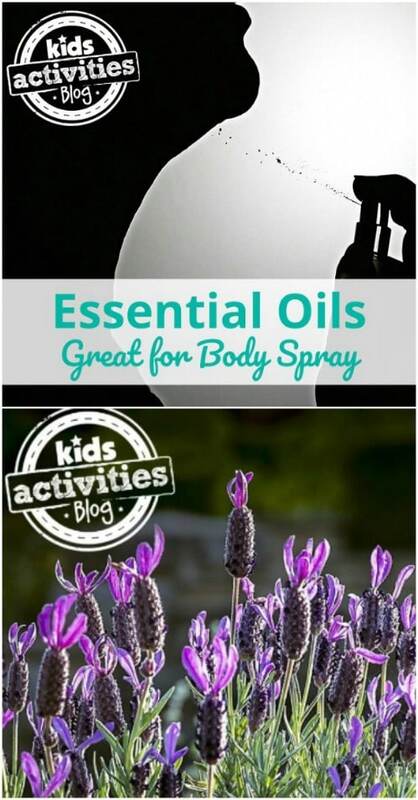 I personally love lavender but I use tea tree and eucalyptus in my room sprays, as well. Do you have cats? If you do, you know that they will scratch just about anything if you let them, including your furniture. This DIY cat deterrent spray will stop them from using anything but their designated scratching post. Just mix a bit of clear dish liquid – your choice of brands – with some lemons and eucalyptus essential oils and add a bit of water. 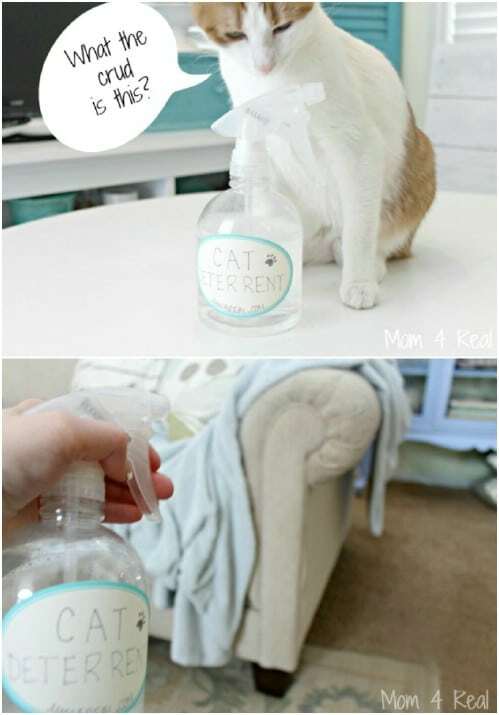 Spray this wherever you want your cats to steer clear. 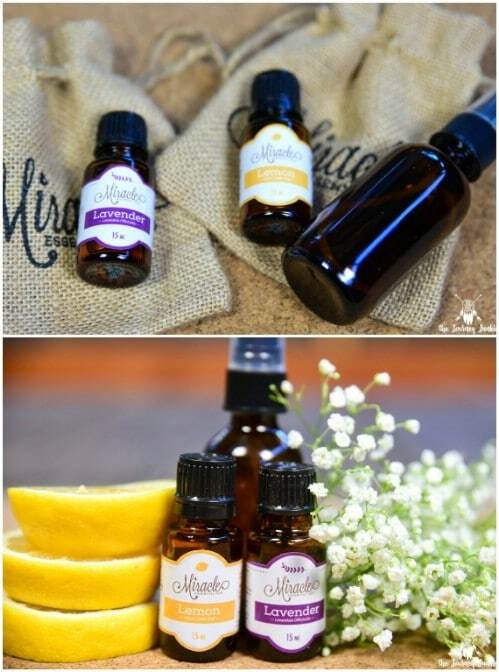 Essential oils are great for so many things, including creating wonderfully effective cleaning sprays. 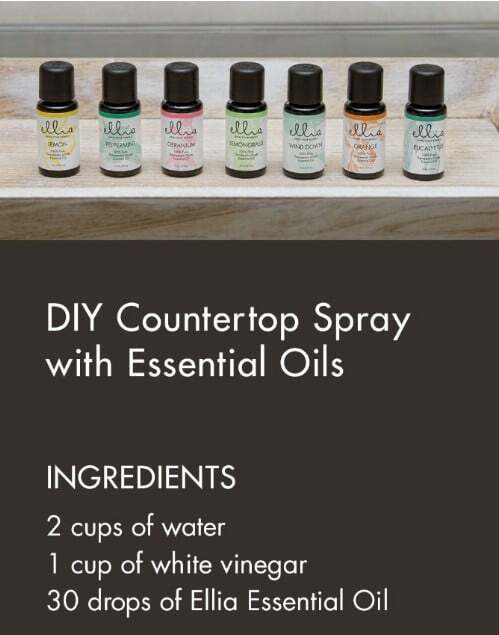 This all natural spray contains distilled white vinegar, water and citrus essential oils and it’s perfect for cleaning countertops, bathrooms, mirrors, windows and so much more. This only takes about two minutes to mix up and it’s much cheaper and safer than anything that you can buy in the store. Essential oils are necessarily just for candles and room sprays. You can also mix up your own wonderful body spray with them and get just about any scent that you want. If you love floral scents for instance, use lavender, if you prefer something more woodsy, use sandalwood or cedarwood. There are so many wonderful sprays that you can create and all you have to do is mix a few drops of essential oils with water. 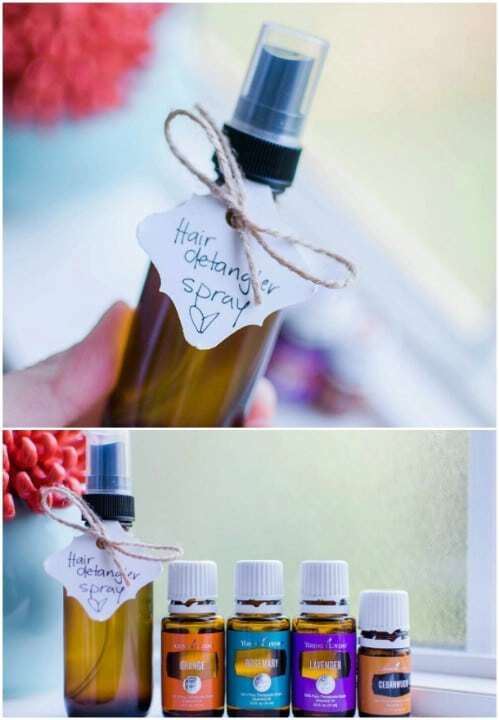 Make your own hair detangler and curling spray with those essential oils. If you buy these things, you know that they’re pretty expensive. You can literally make your own for just pennies if you have essential oils on hand. 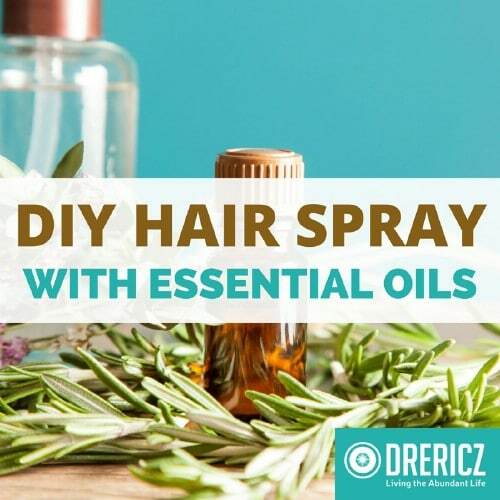 This detangling spray uses vegetable glycerin, lavender essential oil, cedarwood and orange essential oils and rosemary for a wonderful scent and a great detangling ability. Makeup setting spray is great for keeping your makeup on all day or all night, but like other products, it can get expensive. And, if you have sensitive skin you may not even be able to use those over the counter sprays. 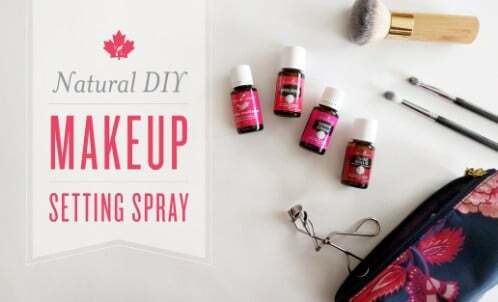 But, you can use this homemade version that only has vegetable glycerin, water and an assortment of wonderfully scented essential oils like tea tree and frankincense that really help to keep your makeup in place. The cold and flu season is almost here and it’s time to think about disinfectant sprays. Do you want something that may have harsh chemicals in it or would you prefer something all natural? 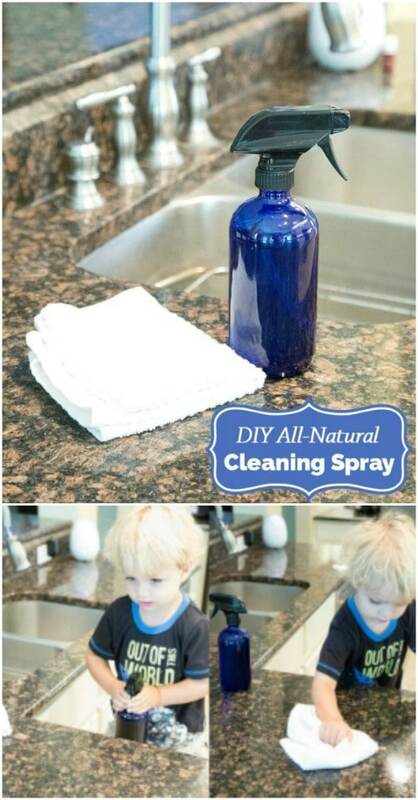 If all natural is your answer, this essential oil disinfecting spray is your solution. Just get a spray bottle and add distilled water, white vinegar, lavender and tea tree essential oils and that’s it. This solution will kill off those germs and make everything in your house smell so great. All you need to make your own countertop cleaning spray is a spray bottle, a bit of water and a few drops of your favorite essential oil. Use whatever oil you want to get the desired scent. This is great for cleaning and disinfecting and makes the perfect kitchen spray if you use scents like lemon, orange or other citrus smells. Want to make your own Febreeze? You can with those essential oils. Just mix baking soda with a bit of water and essential oils and shake well in a spray bottle to mix. Then use this spray whenever you need to freshen up your clothing, shoes or furniture…if you have pets. This is a great overall room deodorizer and really works well on fabrics like curtains to give the entire house a fresh scent. Flies are horrible this time of year, especially here in the South and catching them with fly traps is just too messy. 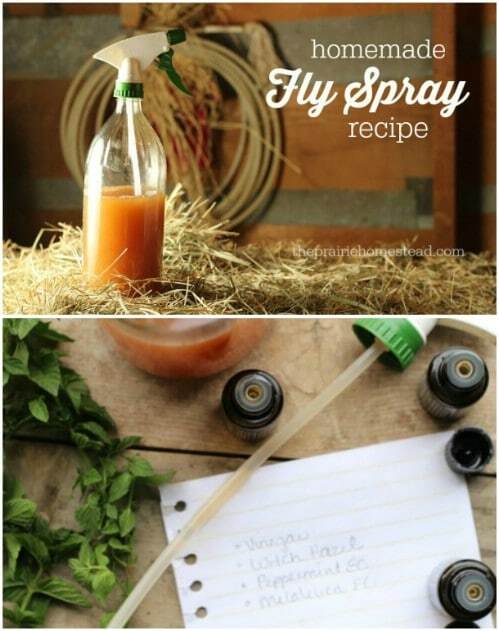 Instead, try using this DIY non toxic fly spray. Rosemary, peppermint and basil essential oils will deter those flies and keep them out of your way. Just mix your oils with apple cider vinegar, liquid oil like canola or olive oil and a bit of dish soap. This is a safe spray to use on animals…like farm animals if you have them. Ants are such pests and they are really difficult to get rid of once you get them in your home. A mixture of water, witch hazel and a few drops of peppermint oil will do the trick. Ants don’t like the scent of peppermint…crazy little critters…so they will steer clear of any countertop that has a peppermint scent. Just spray this all over your kitchen or wherever you have an ant problem and watch them disappear. Imagine a hair spray that you can make yourself! You can with the right essential oils. You just need a cup of purified water, a bit of organic sugar or coconut sugar and a few drops of any essential oil that you want. I promise you that this smells so much better than any hairspray you have ever tried and it works just as well as anything you can buy in a store or salon. It’s also much better for your hair. 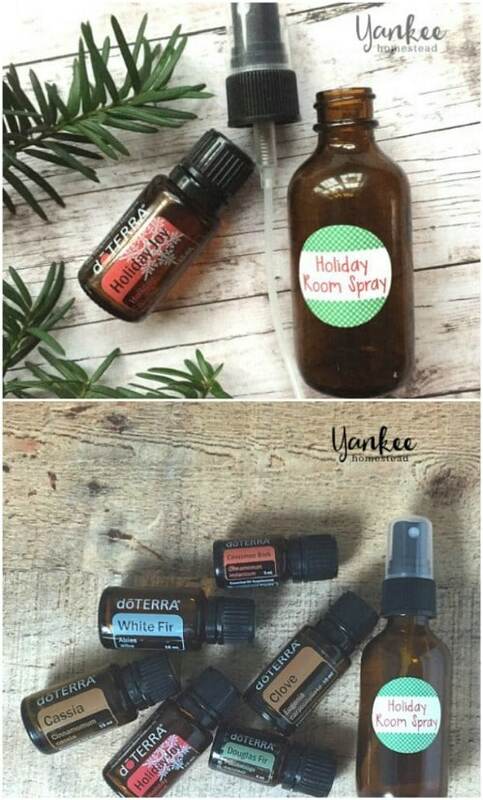 This room spray will definitely make your house smell like the holidays and it’s really simple to mix up. You can buy a seasonal blend of essential oils for this one or just add your favorite holiday scents like cinnamon and orange, peppermint or anything that makes you look forward to the holidays. 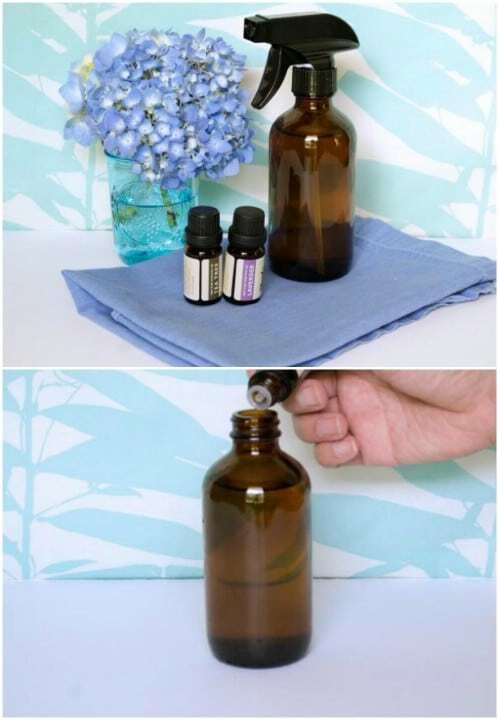 Just mix your essential oils in a spray bottle with water and then spray whenever you want to enjoy the scent. Febreeze smells great and all, but have you read the ingredients? 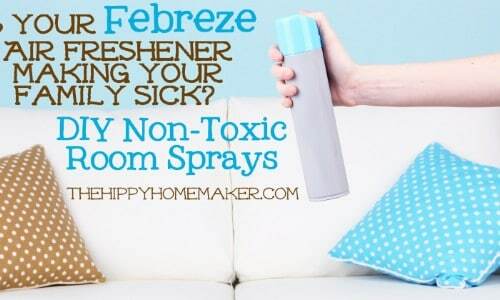 There are some harmful chemicals in just about any room spray that you can buy in the stores and those chemicals could make your family sick. Instead of those store bought bottles, just mix up your own Febreeze with witch hazel, aloe vera gel, vegetable glycerin and your chosen essential oil with a little water. The scent lasts for hours and it’s perfectly safe and completely non toxic. Lice is such a bothersome little bug, especially if your kids are in school. One little outbreak in a school can have parents literally scratching their heads. 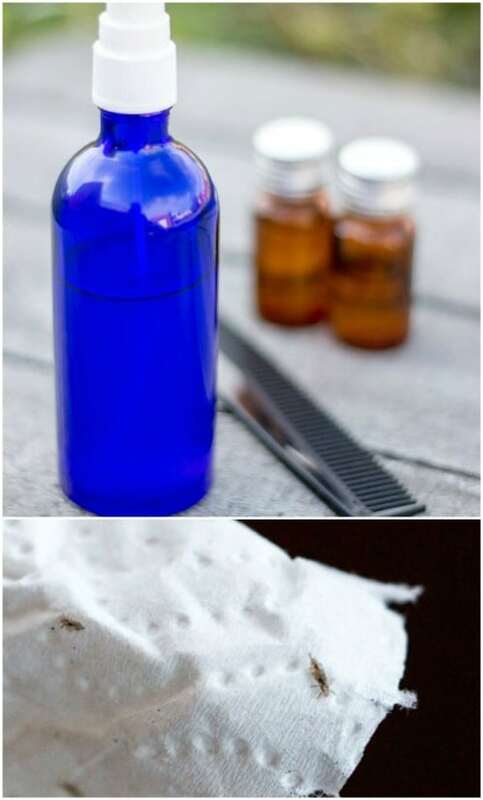 This DIY essential oil based lice repellent spray is perfect for combating those outbreaks. You can use this to ward off those little bugs before they attach. Just mix water and vodka with several drops of essential oil and add in some neem oil. Spray this on your hair, and your kids’ hair, each morning to keep lice from attaching. It’s always a good idea to keep your mattress clean, to ward off dust bunnies and other allergens. 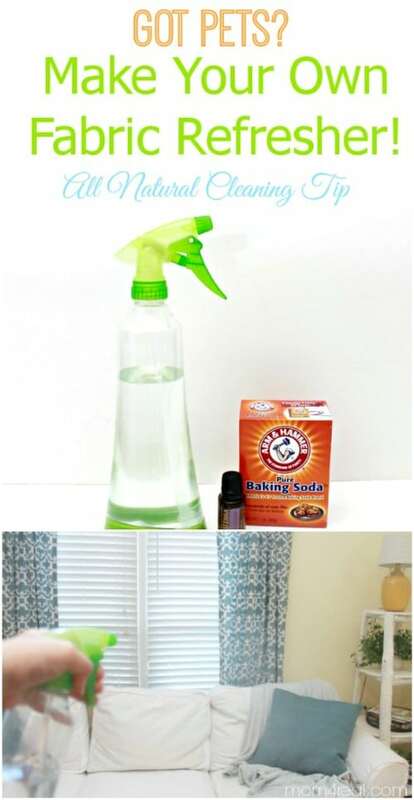 This DIY mattress cleaning spray makes it so easy to do that. 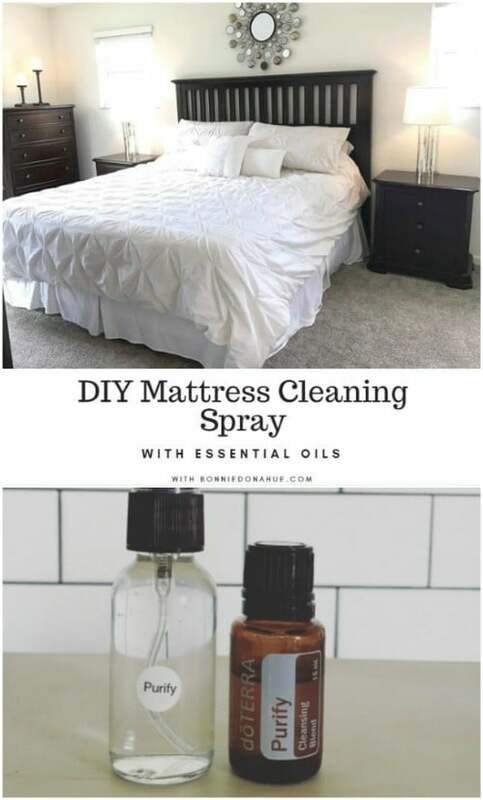 A mixture of water and vodka (or witch hazel if you prefer) along with a few essential oils will help to purify the air and your bedding and make it smell wonderful. Just spray this on your mattress and bedding anytime you want to freshen it up. I really detest mold and mildew. They show up in the most unwelcome places, like in the bathroom and as humid as it has been this summer, it’s been horrible trying to keep it away. 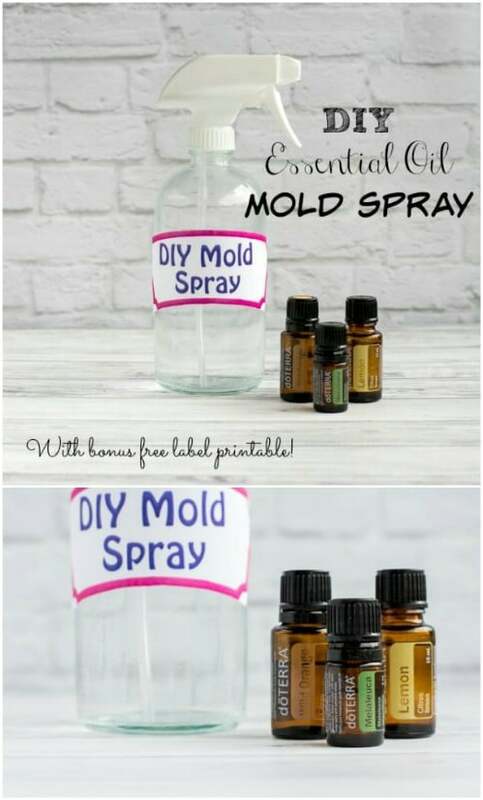 This DIY mold spray does the trick though and it does it very well. White vinegar mixed with orange or lemon essential oils and a bit of tea tree oil does a wonderful job of cutting down that mold. Just spray this wherever you have mold and it will eat right through it – it’s even great for carpets! You can actually ingest essential oils which is what makes them so great. They’re completely non toxic so they won’t hurt you, which is what makes this natural breath spray so wonderful. You can mix spearmint or peppermint essential oils with just a bit of water and use it anytime you need to freshen your breath. This works as well as breath mints – better actually – and doesn’t have any of those unwanted calories that breath mints and gum carry. Make your own perfume! I know, right? Perfume is definitely one of my passions and I have so many different bottles right now. I’ve also spent a small fortune accumulating it and none of it lasts for very long once you spray it on. This essential oil perfume spray works just as well as those expensive perfumes and lasts a bit longer. Plus, you can mix and match oils to create your own unique scent. Bathrooms are the worst to clean and freshen up. The come in second to litter boxes in my book and both are so difficult to keep smelling fresh. 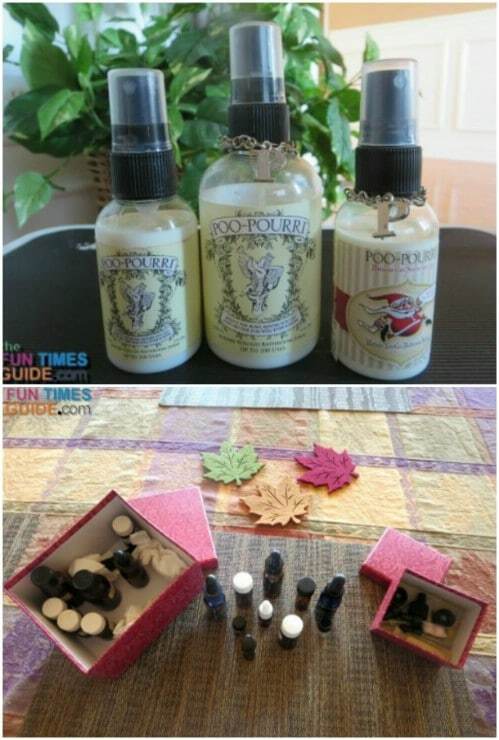 This potpourri spray has a foaming soap or detergent n it that helps to break down fat and oils as well as smells. You just mix this with water and your chosen essential oils and spray it in the bathroom or wherever it’s needed to do away with those odors. 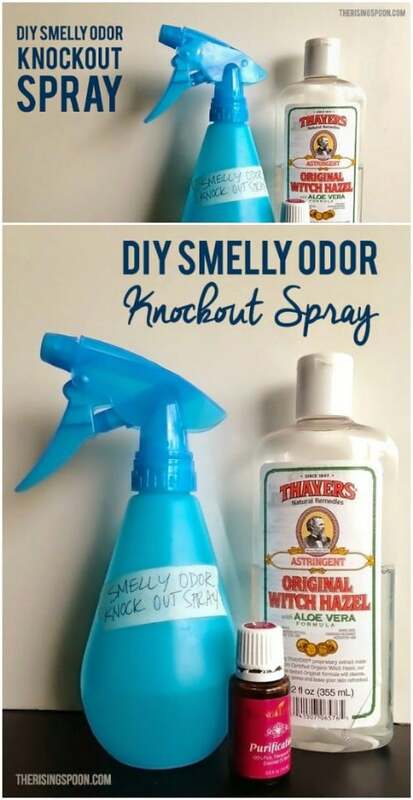 Odors in the kitchen can be almost as bad as they are in the bathroom but this DIY kitchen odor spray will knock them out fast. It uses purification, which you can get online, as well as witch hazel, distilled water and peppermint essential oils to give you a clean smell that will cover those odors and keep them from coming through. Spray this around all of your kitchen appliances, in the fridge and especially around trash cans. 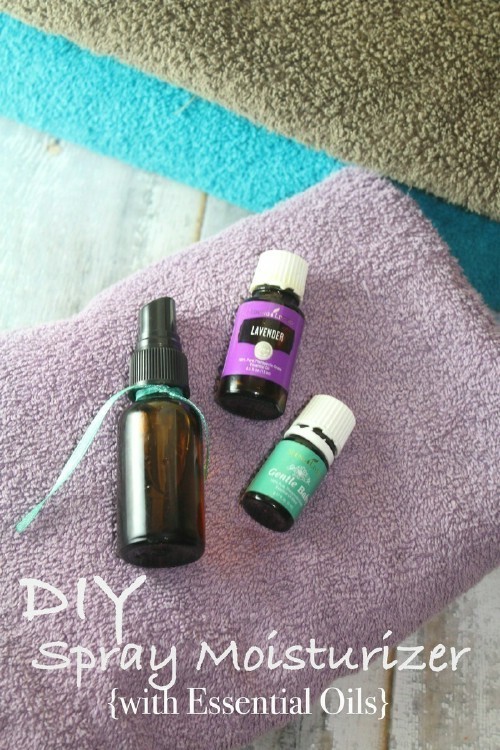 Make your own wonderful moisturizing spray that feels great when you mist it on after a hot shower or relaxing bath. This DIY spray moisturizer is really easy to make and you only need water, vegetable glycerin, grape seed oil, and any other essential oil that you want. Just spray this one whenever you feel the need for some extra moisturizing and it does a wonderful job. I don’t know about you but my yoga mat needs a good cleaning every now and then. While you can always wipe them down with Lysol wipes or something similar, you want to be sure that you aren’t using something that is going to harm the mat itself. This yoga mat cleaner is perfectly safe for you and your yoga mat and it doesn’t require a lot of ingredients. Just spray your mat with this and then wipe it clean.